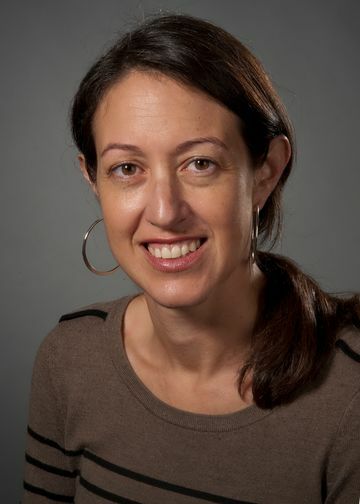 Dr. Schwartz is trained as a clinical psychologist and behavioral epidemiologist and, as such, her primary area of research interest lies in the intersection between mental health and physical health outcomes, particularly as it applies to ethnic minority and marginalized populations. Dr. Schwartz has a particular interest in how trauma experiences affect health and mental health outcomes, particularly among individuals with chronic illnesses such as HIV. She is a Principal Investigator on numerous federally and privately funded population-based studies that focus specifically on the impact of Hurricane Sandy on mental health. She also has a strong background in program design and evaluation with an emphasis on the measurement of psychosocial factors and the implementation and evaluation of community- and clinic-based programs with psychosocial components. Mental health difficulties and abuse have a strong impact on STI/HIV acquisition, transmission and progression, particularly among marginalized groups. Dr. Schwartz has conducted a number of research studies and published and presented extensively on the syndemic nature of violence, substance use, mental health and HIV among women, in particular. She was a co-investigator on the Women’s Interagency HIV Study (WIHS; NIAID U01), the largest ongoing natural history study of HIV in women in the US. In addition, she is a co-investigator on a number of SAMHSA funded projects that aim to reduce the mental health burden and HIV risk behavior among women at high risk for HIV. Dr. Schwartz has a strong interest in understanding the barriers to optimal adherence among people living with HIV and was a co-investigator on a SAMHSA-funded project that aimed to evaluate the obstacles to medication adherence in populations diagnosed with HIV/AIDS, with a focus on substance abuse reduction. Literature has indicated that victims of natural disasters are often at elevated risk for various types of mental health difficulties, however, little is known about the impact of natural disasters on the NYC metropolitan area that has been largely unaffected by natural disasters until Hurricane Sandy. Dr. Schwartz was the co-PI of a CDC-funded U01 that aimed to understand the impact of Hurricane Sandy on the mental health of adult residents of Long Island, Queens and Staten Island, NY. In addition, she is the PI of a foundation-funded award that seeks to understand this impact specifically among residents of the Rockaways, Queens (an area devastated by the hurricane) and to link interested residents into mental health care. She was a co-investigator on a NYS Block Grant (in Child Psychiatry) that sought to foster resilience and positive mental health among children and families in the Long Beach and Rockaways areas post Hurricane Sandy and my role was to evaluate the efficacy of the various intervention approaches being used. Finally, Dr. Schwartz is a co-investigator on three ASPR-funded grants that seek to examine resilience in our CDC funded cohort and to follow the cohort over time, to examine the efficacy of a stress reduction intervention among first responders involved with Hurricane Sandy, and to use public health surveillance data to better elucidate the mental health impact of the hurricane. This works has resulted in numerous abstracts, presentations and manuscripts. Given the sharp increase in early detection of lung cancer, patients and physicians are faced with numerous options regarding intervention for early stage lung cancer. Her research involving the impact of mental health on outcomes including quality of life in both HIV and cardiovascular disease as a co-investigator on a PCORI-funded project with the Department of Medicine investigating the impact of an intervention on patient outcomes including QoL, informed my interest in understanding these issues in lung cancer. Dr. Schwartz’s work in collaboration with Northwell Health clinicians as well as Mount Sinai Medical Center’s I-ELCAP investigators allowed me to conduct research on the impact of various types of surgery on QoL. In addition, she facilitated and conducted qualitative analysis on multiple focus groups involving thoracic surgeons and early stage lung cancer survivors which have resulted in manuscripts in preparation as well as invited lectures. Schwartz RM, Mansoor A, Wilson TE, Anastos K, Everson-Rose SA, Golub ET, Goparaju L, Hessol NA, Mack WJ, Lazar J (2011). “Chronic depressive symptoms and Framingham coronary risk in HIV-infected and HIV-uninfected women.” AIDS Care. 2011;24(3):394-403. Schwartz RM, Weber KM, Schechter GE, Connors NC, Gousse Y, Young MA, Cohen MH. “Psychosocial correlates of gender-based violence among HIV-infected and HIV-uninfected women in three US cities.” J AIDS Patient Care STDs. 2014 May;28(5):260-7. Schwartz RM, Yip R, Olkin I, Sikavi D, Taioli E, Henschke C. “Impact of surgery for stage IA non-small cell lung cancer on quality of life.” J Community and Supportive Oncology. 2016 Jan:14(1):37-44. Schwartz RM, Liu B, Sison C, Kerath SM, Breil T, Murphy L, Taioli E. “Study design and results of a population-based study on perceived stress following Hurricane Sandy.” Disaster Medicine and Public Health Preparedness. 2016;10:325-332. Schwartz RM, Sison C, Kerath SM, Murphy L, Breil T, Sikavi D, Taioli E. “The impact of Hurricane Sandy on the mental health of NY area residents.” American Journal of Disaster Medicine. 2015 Fall 10(4): 339-46. Schwartz RM, Rothenberg P, Kerath SM, Liu B, Taioli E. “The lasting mental health effects of Hurricane Sandy on residents of the Rockaways.” J Emergency Management. 2016. In press.